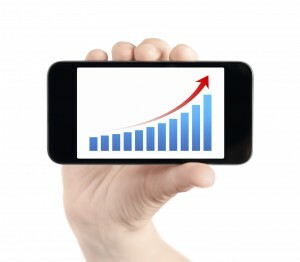 The Top 8 Reasons Why You Must Be Mobile Responsive! 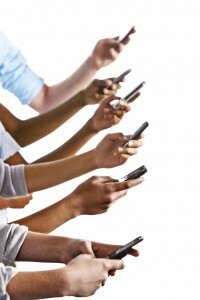 Mobile Responsive NOW Required For Marketers! Hopefully anyone reading Kinetic Knowledge is familiar with mobile responsive website design , including what it actually looks like on a phone. Not so long ago it was only recommended; today it’s NO LONGER a recommendation. Today it is an absolute requirement for the serious marketer! The number of consumers viewing websites from a mobile device has surpassed those via desktop and, for companies unprepared, it is a problem. Why is it a problem?! Make it unpleasant for a consumer to navigate website information and assume they will leave & look elsewhere. Can you afford to lose the business? 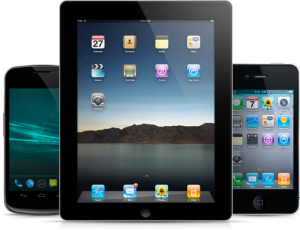 The Top 8 Reasons You Simply Must Be Mobile Responsive! 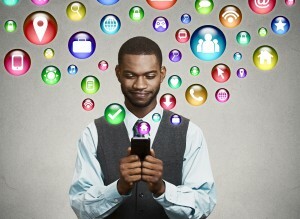 Consumers Are Mobile: Your consumers visit via mobile device. Serious marketers want to support the BEST visual experience possible … so they don’t leave! Search Engine Indexes: Not just Google, but Bing and the others say they want mobile- friendly responsive content so they only have to crawl & index one page URL per subject. Search Engine Rank: Google has announced mobile- friendly content will see a rank advantage because it’s in their best interest to make the search user experience best possible. They’ve hinted non- responsive content may be discouraged or even dropped. Cost: Mobile responsive content conforms to all devices eliminating the need to create, manage and incur the cost of 2nd mobile sites or apps’. One Digital Footprint: One website with one set of URLS is one SEO and one SMM challenge. Why volunteer to duplicate the effort of ranking two sets of the same pages? Consumer Experience: It must be easy to see and to navigate content. Instead of a content presentations on phones where panning, stretching & scrolling across is required, a vertical approach that maintains ‘aspect ratio‘ for all content is what’s best for users. Image Experience: Maintaining image ‘ aspect ratio’ versus seeing a quarter or a half of that picture matters when it comes to keeping them interested and on- site! Lead Capture: A contact form is where a marketer captures leads. Mobile contact forms automatically adjust to the size of the user’s screen, making it convenient to fill out. Wouldn’t it be terrible to lose a lead because someone thought the contact form was too difficult to complete? Any WordPress website can be redeveloped mobile friendly. If you’re thinking about going mobile, get in touch with Kinetic Knowledge today so we can tell you more about it. Learn more about mobile responsive websites online or give us a call at (732) 722 5915. Based in Monmouth County, NJ, Kinetic Knowledge is a full service digital marketing agency offering SEO, PPC, social media, graphic design, e-commerce, content marketing, custom app solutions and mobile website design! https://www.kineticknowledge.com/wp-content/uploads/2015/08/kinetic-knowledge-logo2.png 304 300 Kinetic Knowledge https://www.kineticknowledge.com/wp-content/uploads/2018/08/KKLogoDarker-1.png Kinetic Knowledge2018-07-15 18:03:352018-07-16 20:28:22The Top 8 Reasons Why You Must Be Mobile Responsive! Thanks to mobile devices, finding nearby products and services at any time in any place is quick, easy and generally painless. We can now just reach into our pockets and, in an instant, search the information we need. Traditional yellow pages, a paper map, or a pay phone are pretty much obsolete and now we all have the ultimate convenience right at our fingertips. For the local marketer, it has become crucial to be present in local search results. People, in massive numbers, have turned to mobile devices for their localized information. When they do they use searches with modifiers like “near me” “closest” and “near by” to the tune of billions of Google queries each month. In fact, people’s Google search interest in “near me” queries has seen an increase of 34X since 2011! It nearly doubled since just last year! Hopefully your content is mobile responsive because 80% of this increase is due to searches coming from mobile devices and Google is not only looking to rank for the local signals your web presence puts off, but for the content that simply gives the consumer the most locally relevant answer. Suddenly we find ourselves in a world where consumers are not just gathering information on the internet, they are making instant decisions. Consumers are researching products & services, reading reviews, price comparing, making a purchase decision on their mobile device AND before they even step into an office or a store. They may be at home, in their car, or maybe even in a competitor’s office or store … are you ready?! Google Data tells us that 50% of local searches on a smartphone result in a visit within 24 hours, and 18% of those result in a purchase within a day. Nearly half of people, when unsure where to eat, won’t search until an hour before going. The numbers jump to 60% when measuring millennials. This information can tell us a lot about how to be present for this modern challenge. It tells us that our websites MUST be mobile friendly, geographically present via the use of keywords and up to date with the most useful timely information on services. Think of all the questions a customer might ask, and answer them in well – written geographically specific pages & posts. With endless information at the click of a button, consumers definitely have elevated their expectations for immediate and relevant results. They want it, they want it now and they want it local! So it is a necessity to be prepared for these moments. To marketers the message should be loud and clear: to compete locally is to have the most valuable locally relevant content ready for these ‘near me’ moments. How Does My Website Look On Any Device? What Does Your Website Look Like To Its Visitor On Any Device? Regardless of what search engines say, and even if you do not depend on search engine traffic, you built a website to be visible, friendly and useful to visitors and buyers. Here’s the 1st step in visualizing how they see it right now from their phones, tablets and mobile browsers. https://www.kineticknowledge.com/wp-content/uploads/2015/08/kinetic-knowledge-logo2.png 304 300 Kinetic Knowledge https://www.kineticknowledge.com/wp-content/uploads/2018/08/KKLogoDarker-1.png Kinetic Knowledge2015-04-30 13:57:172015-04-30 13:57:17How Does My Website Look On Any Device? The April 21st 2015 Google Non- Mobile Friendly Content Deadline! April 21st will be a significant day for websites & content. According to Gary Illyes, Webmaster Trends Analyst for Google, on this day Google plans to implement a major change in the content ranking signals they use. It’s a change that will simultaneously penalize non- mobile friendly website content and reward pages that are responsive. If your business already has a mobile responsive website you are in good shape, but be sure to understand the difference between non- mobile friendly, mobile apps’ and actual mobile responsive website content. If you don’t you could be in jeopardy of losing critical search traffic! As a marketer, search related traffic is equal to free branding: visibility with qualified consumers & potential new business. However, according to a recent TechWyse survey, mobile users demonstrate NO patience for sites that make them play around with the screen. If they are panning, stretching and scrolling across their phone or tablet from side to side to get information … they will likely move on! In fact, 61% of mobile users said they are UNLIKELY to return to a site if they have trouble with it. And that’s not all: 40% said they would visit a competitor’s mobile website instead! If you’re not familiar this quick video on ‘ What Mobile Responsive Content Looks Like ‘ will help! It’s not surprising that Google feels mobile- friendly websites provide a better experience for their mobile search users. Quite logical in fact because we already know 50% of all consumers go online via their smart phones & tablets. It only makes sense that Google will want mobile users to find mobile friendly content that is easy to use and that makes searching for information on their smart phone or tablet a breeze. The good news: your existing website and its’ pages can be converted into a mobile friendly website. Whew! No need to recreate the wheel and get a whole new design. We’re capable of either re- developing WordPress websites to a mobile- friendly responsive website (as is) or redesigning with perfectly preserved content, including indexing in- tact. Google considers user experience their highest priority and all business owners should too. If you’re ready to go mobile, get in touch with us. We’d love to answer any questions or discuss your mobile website options today! Based in Monmouth County, NJ, Kinetic Knowledge is a full service digital marketing firm offering website design, SEO, social media, graphic design, e-commerce, content marketing and custom app solutions.